With Iceland noir fast approaching, I have been catching up on my Arnaldur Indridason books, as he is the Guest of Honour for this inaugural festival. I have, however skipped a couple of novels for a couple of reasons. I stopped reading his books a while ago as at the time I was having a serious Scandinavian / Nordic phase and (Camilla Läckberg, Jo Nesbø etc) was beginning to get my characters confused, so the last one I read was book four, The Draining lake, which I loved. That, and that I realised that he is now on book nine, and whilst I am a fairly prolific reader, with the increasing number of books I have to read, I wouldn’t get to through them all before we head to his homeland. Hence I have just finished book 7…. 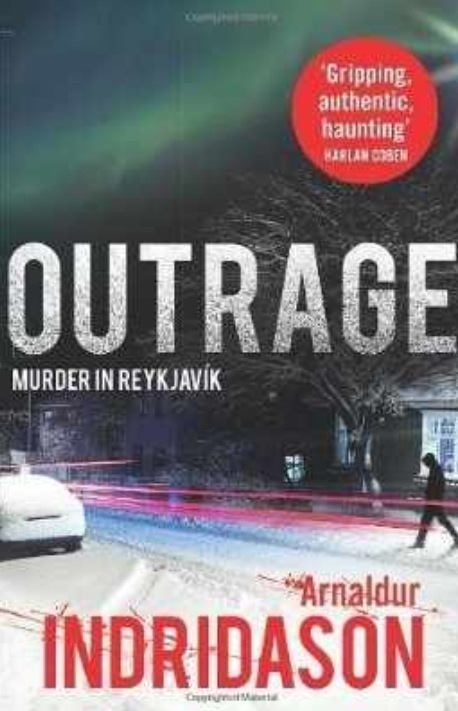 This is the first of Arnaldur Indridasons Reykjavik series that I have read that doesn’t feature his main detective Erlandur. I was surprised at first thinking it may not be as good, but I couldn’t have been more wrong. I read the book in a weekend and loved the way I got to see and understand so much more of Elinborg as both a policeman and a person. As complex as ever, all the way through I was convinced that I has sussed out who did it and why, only to find I couldn’t have been further from the truth. It’s a great read, and whilst making me keen to catch up to book 9 I also can’t wait to go back and read the two books I have skipped.